Silver Lake’s Secret Headquarters has been described as a “boutique” comic book shop, with its dark wood shelves filled with popular and hard-to-find comics and graphic novels. Now, seven years after Secret Headquarters opened up its Sunset Boulevard location, the owners of the shop are opening a store in Highland Park, joining the new boutiques, cafes and galleries on York Boulevard. 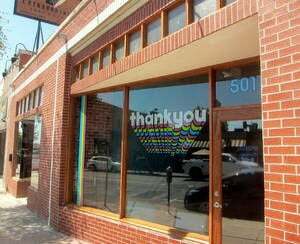 The new shop–called Thank You–will sell not only comics and graphic novels but also a variety of magazines and new and used books, said Secret Headquarters co-owner and Highland Park resident David Pifer. “It’s going to be a great set up,” Pifer said. The brick-and-mortar bookstore business is far from booming. But Pifer said he thinks the Northeast L.A. comic book market is “underserved” and that are very few stores nearby that sell new books (The Pop Hop book shop that opened across the street sells earlier this year sells mostly used books, Pifer said). Pifer is also counting on creating a unique vibe and atmosphere to attract and set Thank You apart from rivals in much the same way Secret Headquarters stands out from comic book retailers. “The look of the space makes people curious to see what it;s about,” Pifer said. Pifer, 38, said he and Secret Headquarters co-owner and long time friend David Ritchie, 40, had been looking for space on York Boulevard for some time. 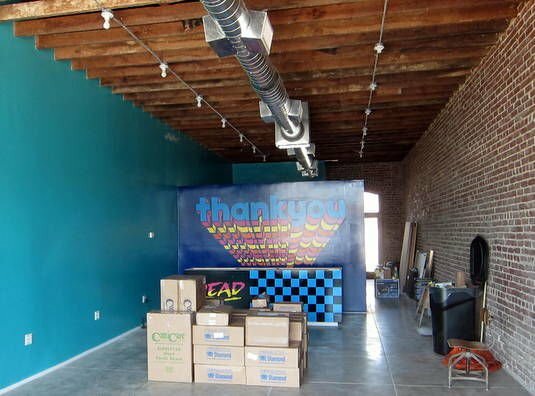 After hearing through a friend that a building on York near Avenue 50 was to be renovated, they decided they wanted to take over the approximately 1,000-square foot space with exposed brick walls and ceiling beams. The pair, who have known each other since high school, now both live on the same Highland Park street only about five blocks from the new comics and books store.